Cendrowski Corporate Advisors (CCA) works hand in hand with private equity general partners, fund principals, and portfolio company management teams to help them achieve their financial goals. Our firm has worked with professionals from all levels of the “private equity value chain”: private equity funds, portfolio companies, and limited partners. Over 20 private equity and hedge funds have used our services. Managing back-office operations including fund and portfolio company financial reporting and tax compliance. Improving portfolio company operations through key operating/financial metrics. Preparing portfolio companies for harvest. Integrated risk assessment and due diligence services focusing on potential portfolio companies. We apply our forensic and investigative backgrounds to the due diligence services we provide, which means we go beyond the traditional financial calculation approach to understanding a target’s investment potential. Our services provide clients with a laser-focused view of a potential target’s operations. We scrutinize the target’s internal control structures, facility operations, manufacturing sites, executive teams, and financial reporting practices as well as perform traditional quality of earnings assessments. This holistic view of the investment target naturally complements your acquisition team’s strategic and financial savvy, making certain only the best candidates garner investment. CCA also performs personal due diligence services for firms looking to perform background checks on potential target-company executives and employees. Utilizing our back-office and middle-office operations permits private equity fund managers to concentrate on the fund’s core operations, minimize administrative costs, and ensure data integrity. Our services represent variable costs to the fund that can easily increase with demand or decrease during off-peak times. Transferring responsibility for these activities to an independent third party reassures limited partners that they are receiving timely and accurate information. Administrative resources at the fund level are freed up, permitting managers to focus on scouting, screening, and harvesting deals. Costs to the PE firm are further decreased as these operations are typically borne by the PE fund, not the general partners. We bring a holistic perspective to each of our engagements. 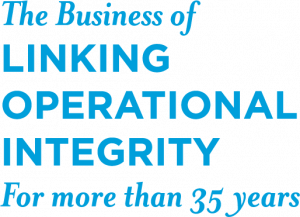 Each of our team members brings an average of more than 30 years’ experience in providing operational assessments, fraud deterrence, governance advisory services, and financial analysis to clients. They hold nationally-recognized financial and accounting certifications, teach at universities and colleges, and contribute to the advancement of their professions through service activities. No matter the type of engagement, our professionals bring their complete body of experience to the table, ensuring you obtain a perspective unavailable with other advisors. CCA is committed to not only fulfilling the terms of our engagement, but also to developing sustainable practices that can be used even after our engagement has concluded. This philosophy ensures that your fund will continue to realize returns on your investment long after we have left. CCA’s clients receive personal attention from seasoned banking professionals. Members of our team have served on the audit, strategic planning, ALCO, loan and executive committees of publicly-traded and privately-held bank boards. They have co-founded banks and served as principals in banking industry-focused private equity funds. Additionally, CCA team members have expertise in commercial lending, CRA, community bank management, and small business banking. They have served as consultants to community bank boards and executives in the areas of strategic planning, asset/liability management, branch feasibility studies, regulatory consulting, BSA Look Back Reviews, BSA enhanced due diligence investigations, capital planning, bank valuations, and mergers/acquisitions. Our staff includes a former FBI Special Agent who is a Certified Anti-Money Laundering Specialist and licensed Private Investigator, a former SEC compliance examiner, and a former financial manager who designed and implemented internal accounting control systems for Fortune 500 companies. 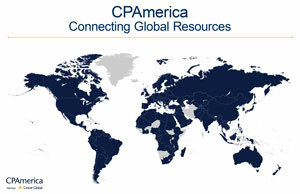 CCA’s deep experience in forensic investigations, operational and risk assessments, and business valuation, coupled with our industry-leading fraud investigation and deterrence practice and has enables us to serve over 50 banks, credit unions and other financial institutions in the past 5 years.